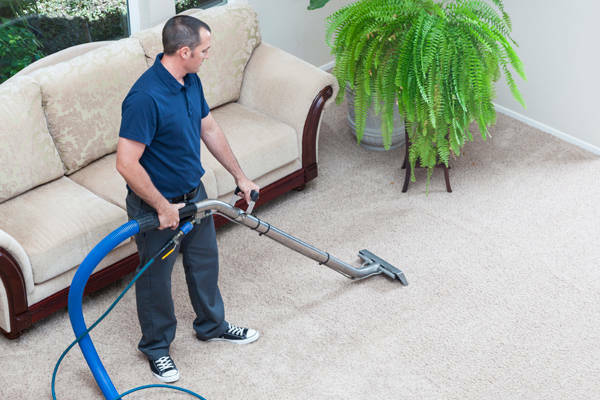 If you are an entrepreneur looking for a lucrative business opportunitythat does not require you worrying about international business competition, you may want to consider opening a carpet cleaning business. There are many excellent franchise opportunities available to entrepreneurs looking to open their own business. Here are some of the top franchises available and some additional information to help you narrow down your choices. OxiFresh offers entrepreneurs like you the ability to open your own carpet cleaning business with very little initial investment required. Plus, with OxiFresh you can operate your carpet cleaning business right from your home. With and initial investment of just under $50,000, you will get everything you need, equipment included, to start selling your services. In addition, OxiFresh will get your carpet cleaning business started on the right foot with the PPE regulations training and support they provide franchisees. If you are looking for a low-cost comprehensive carpet cleaning franchise, OxiFresh is the way to go. ChemDry is another relatively low-cost franchise option for entrepreneurs looking to open their own carpet cleaning business. ChemDry requires a net worth of $50,000 and liquid cash assets of at least $30,000. If you meet these qualifications, all you need is $42,000 to start cleaning carpets now. This company also offers support and training to new franchisees, including sales process training. ChemDry also has the added benefit of providing financial assistance to those that qualify when necessary. If you want to open a carpet cleaning business, but may need a bit of financial help, consider ChemDry Carpet Cleaning. Stanley Steemer gets your home cleaner. Who does not recognize that jingle? If you are looking for a carpet cleaning franchise that is backed by a well-recognized name, Stanley Steemer is the franchise for you. This company requires quite a larger initial investment than others on this list. However, they also offer marketing tools to their franchisees, which is not the case for many other carpet cleaning franchisers. If you have the minimum required investment amount of just under $104,000, you may want to choose to open your carpet cleaning business with Stanley Steemer. The name recognition and marketing tools, like digital signage, provided by the company may help to give your business a competitive edge. Steamatic Inc. is the last carpet cleaning franchise opportunity to make our list. This is another carpet cleaning business that requires quite a large investment. To do business with Steamatic, you will need to have a net worth of $70,000 in addition to $70,000 in liquid cash. Your initial investment costs will start at just above $137,000. That is by no means a small sum. However, if you choose to open your carpet cleaning business with Steamatic, you will also have the capabilities necessary for doing business with larger businesses, such as hotels or offices. You will also have access to plenty of support provided by the company. If you have the cash and want to do business on a bigger scale than just cleaning private homes, consider Steamatic Inc.
You may be wondering how much money you will need to start a carpet cleaning business on your own versus purchasing a franchise outright. Obviously, buying a carpet cleaning franchise is going to cost a lot of money. However, if you choose to open a carpet cleaning business on your own, you can start for much lower startup costs. Many business owners start out by renting one carpet cleaner, like Rug Doctor, from a local hardware store for thirty bucks. These entrepreneurs were able to avoid wasting money unnecessarily on things like blinds costs. This is something to consider if the carpet cleaning franchises costs are just out of your price range. If you are looking to open your own carpet cleaning business and starting an LLC is not for you, consider the four franchise opportunities listed above. Depending on your personal finances, you may wish to splurge for the more expensive franchise options that provide additional features and support. However, if you do not have a lot of funds available for investment, consider the two cheaper franchise options. These two companies still provide many great features and support. The only real downside is lack of name recognition. If you already own your own carpet cleaning business with one of these companies, share any advice you have for your fellow entrepreneurs down below.